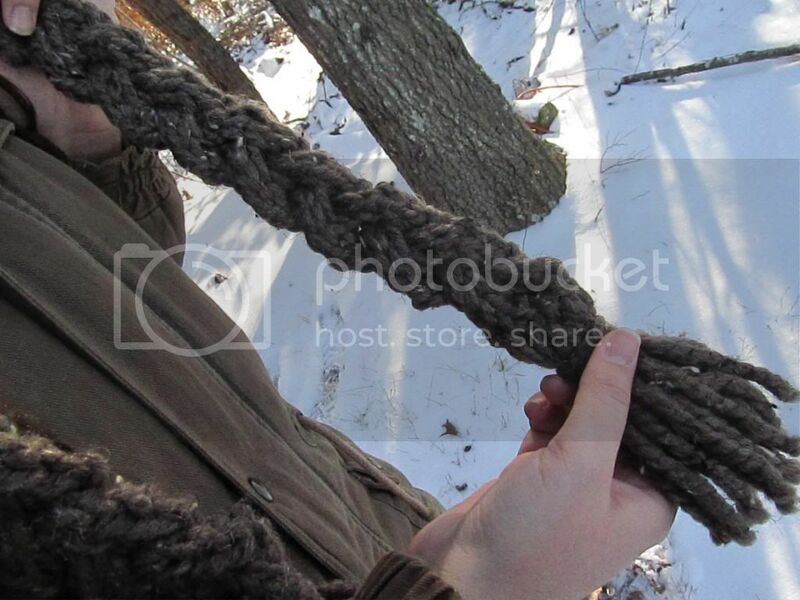 Wool and Wheel: Free Rapunzel! 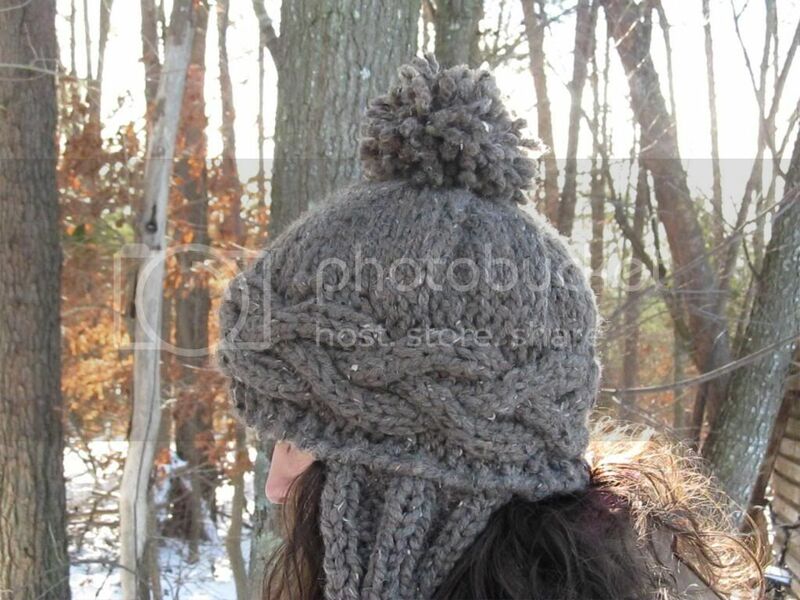 I've been knitting for over two years now, and this is only the second hat I've made for myself. (Here's the first. I've made about seven hats in total: the other five went to my dad, brother, cousin, and niece.) That's probably because I'm not quite sure how I feel about hats. I love knitting them. They're quick projects that don't require much yarn. But I'm not sure if I can pull off wearing them. 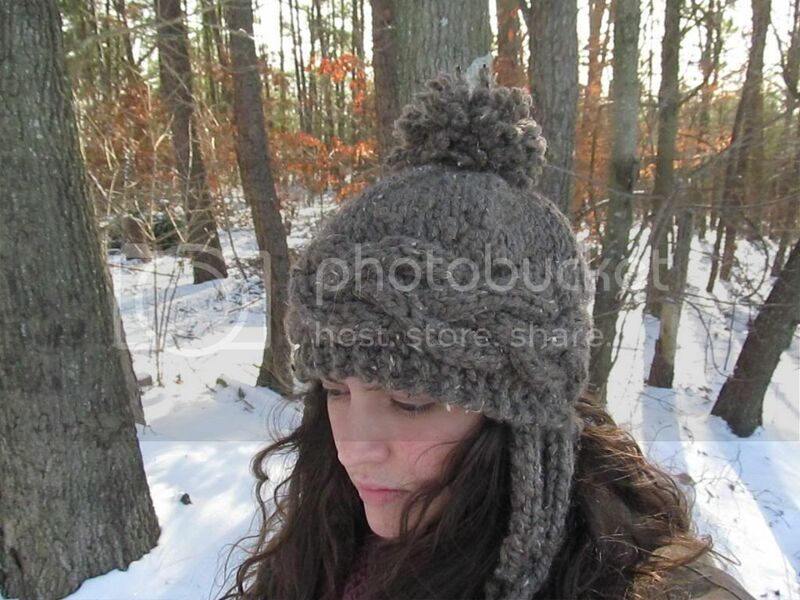 But I've wanted to knit this hat for the longest time. It's just so fun and quirky that I don't really mind that it makes my big head look even bigger. 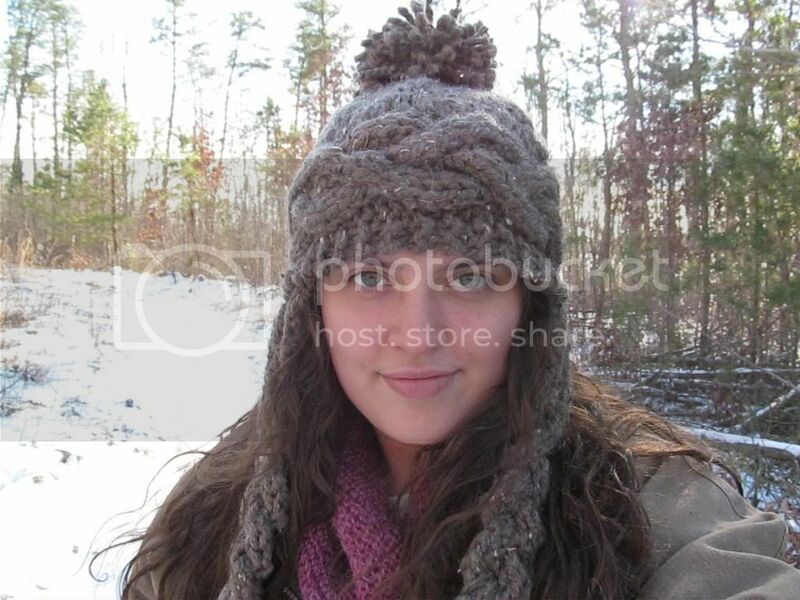 :) And even if I only ever wear it while walking in the woods, it does a good job of keeping my head warm! So I'm rather pleased with this hat, even if the yarn is a bit gross. It's mostly acrylic with only a tiny bit of wool, so it was not pleasant to knit with. But I had bought the yarn at least a year ago, just for this hat, so I figured I might as well use it. It has these random little bits mixed in to make it look tweedy, but the bits shed everywhere. 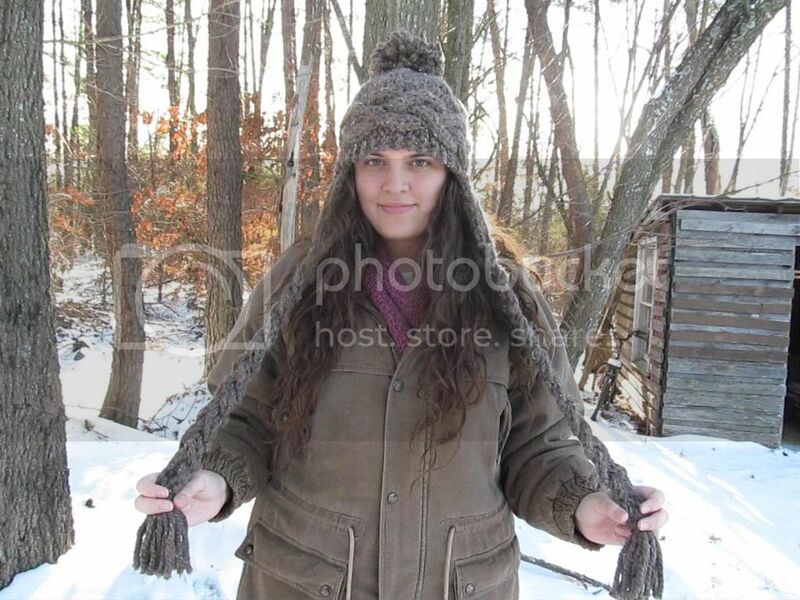 I really want to knit more hats now. :) Preferably ones with pompoms on top, because that just makes a hat so much more fun. I love cables, too. They're not my favorite to knit, but I sure do love how they look! :) It's always nice to meet other DW and Sherlock fans!